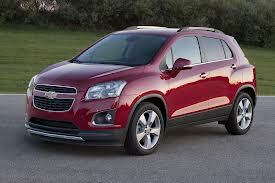 The Chevrolet Trax has a 4 cylinder engine with a turbo. When buying a vehicle, the number of decisions you have to make can be overwhelming. A common area of uncertainty is around engines and all of the terms related to them. Your salesperson will likely mention things like 4 cylinder, V6 or V8 and often buyers are not certain of what this actually means. Knowing a little bit more about the different engines could help to make your next purchase easier. Every vehicle has cylinders, and the engine size is generally denoted by how many cylinders a vehicle has. A 4 cylinder has 4, a V6 has 6 and so on. Inside each cylinder is a piston, which moves up and down. Gasoline and air combine inside the cylinder and a spark creates combustion. The combustion then pushes the cylinder down, which creates motion that is transferred to the driveshaft, propelling the vehicle. This is why vehicle motors are referred to as internal combustion. 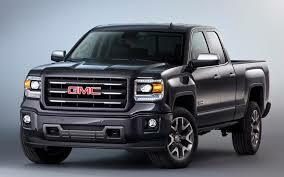 The Sierra and Silverado offer a V6 or V8 engine. Most cars are powered by a 4 or 6 cylinder engine, while most trucks have a 6 or 8 cylinder. The more cylinders in an engine, the more combustion that occurs, creating more movement to turn the crankshaft and power to move the car. However, more cylinders also require more gasoline to make the combustion necessary to drive the car and thus are not as efficient. This means that when you buy a 4 cylinder car, you are sacrificing power in order to increase efficiency. The 4 cylinder engine has to work harder to move the vehicle, hence why performance suffers. Manufacturers such as GM have recognized this and are working to make 4 cylinder engines more enjoyable to drive. The pistons inside of the cylinders in your vehicle are arguably the most important part of a car and they are also subjected to a lot of heat and stress. If a cylinder is ever malfunctioning or not operating properly, it can cause significant damage to your engine and drastically affect the performance of your vehicle. GM has been working to combine the efficiency of a 4 cylinder engine with the performance of a V6 so that buyers no longer have to compromise. The Chevrolet Cruze, for example, comes with an optional 1.4L turbocharged 4 cylinder engine. 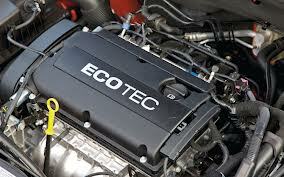 The 4 cylinder engine operates as a normal engine, but the turbo provides added power when you need it. As noted above, the combustion created by air, gasoline and a spark is what pushes a piston. A turbo works by adding more air into the chamber, which causes each combustion to be more powerful. This makes the piston move with more force, which is transferred to the driveshaft, moving the vehicle. A turbo does not operate constantly, which helps to keep fuel consumption down. It will generally engage only when the engine is pushed for more speed or power. The key to deciding between a 4, 6 or 8 cylinder engine depends upon the vehicle you are considering, your driving habits and what kind of performance or efficiency you want from your vehicle. Keeping this information in mind will hopefully help to make the final decision much easier!